Love and gifts, both go hand in hand. No matter what kind of relationship you are sharing with your loved one, a right gift adds more love to the relationship. When it comes to choosing the most heart-touching gift for your loved one, almost nothing can be as delighting as the printed photo coffee mugs. There are lots of gift ideas available on the market these days ranging from crystal gifts to many other things. printed coffee mugs have become a very popular option as they are so versatile and relatively inexpensive. These photo print on mugs are one of the most popular gift choices for most of the people. If you are planning to buy something really touchy and memorable gifts for him, buying a photo imprinted coffee mugs could be a great choice. Your loved one can enjoy the image on their new coffee cups every morning when they're sipping their morning coffee or in the evening when they're enjoying a cup of hot cocoa. Now you might be wondering to know about the place from where you can go for coffee mug printing online. If you have been searching for a long time, your search finally ends here as FlowerAura is the best destination for you. This popular online gift store in India allows you to buy coffee mugs online from the comfort of your home. Floweraura presents an exclusive collection of Mugs for all occasions ranging from Birthday, Anniversary, Congratulations, Romantic ones etc. A unique way indeed to express your feelings and something that your loved ones will cherish forever. The entire process of ordering custom photo mug gifts from this online store is so simple that anyone can do it without experiencing any sort of hassles. You can simply buy the custom photo mugs from this online store and this store will send gifts for her at the doorstep by using the free shipping. In the hustle and bustle of life, one fails to acknowledge the happiness in little things. One fails to pay attention to the sweet little moments that make up life and turn into unerasable memories. And especially, when there are any occasions round the corner like anniversary, birthday, Valentine’s Day, Father's day and so forth, it becomes almost indispensable to let the person know how important they are in your life. 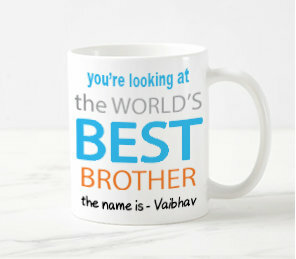 On this June Gift your dad personalised mugs as the best father's day gifts. Fret not! With beautifully designed Coffee Mugs online to express your emotions, FlowerAura is here to help. It’s amazing to know that someone is going to keep you in mind with every sip of coffee. And with FlowerAura’s exclusive collection and wonderful message over the cup, you cannot deny all the love that is going to be poured in for you. Messages like To the Love of My Life, You+ Me= Perfect Love Story are sure to melt anyone’s, heart. Be it ‘Just Say Yes Combo’, ‘Infinite Love Combo’, ‘Hot Temptations’, ‘Fragrant Love’, every teddy and each combo spells out your deepest emotions. Buy Photo Coffee Mugs online from FlowerAura and gift them to your near and dear ones to bring them closer. Pronounce love in style. With cute messages embossed on the Photo Mugs Online for everyone you love like your father, mother, sister, brother, beloved, friend and so forth, FlowerAura has everything in the store just for you. Let your wishes and warmth reach the ones you love in style by ordering exclusive Coffee Mugs With Photo from FlowerAura. With our reliable and prompt delivery services across India, be assured to delight your loved ones on special occasions. And that’s not all! You can pair the exclusive Custom Coffee Mugs with amazing flowers or choose from the countless combos. And making an order with FlowerAura is so convenient. Place an order on FlowerAura just by logging in and making your favorite pick. Now, stay assured of having your printed Mugs delivered right on time.